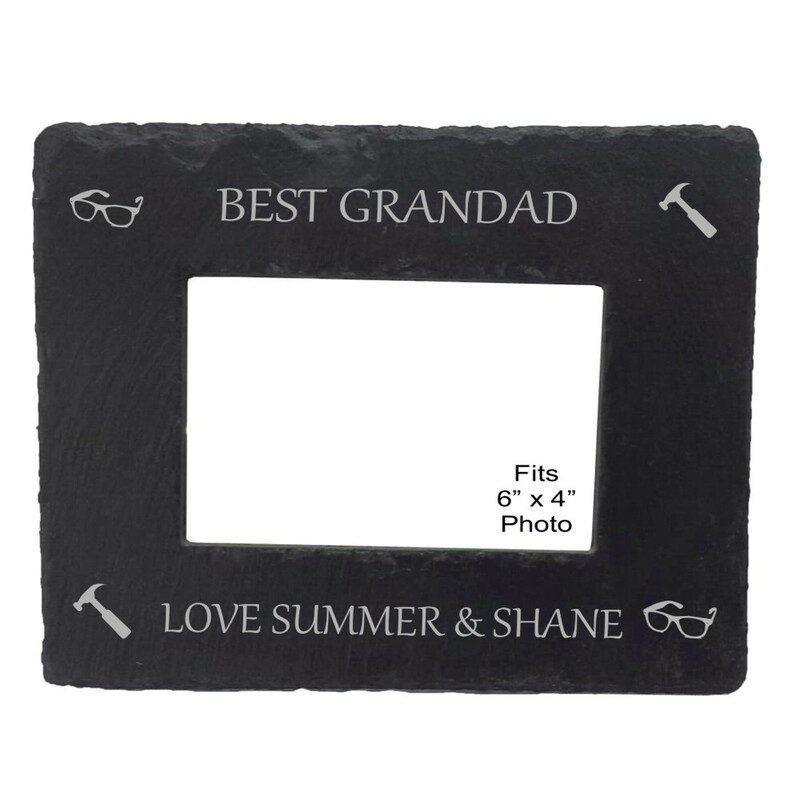 Engraved Best Grandad Ever Slate Photo Frame. This amazing personalised photo frame measures 190 x 140mm and fits a 7" x 5" photo. Available in portrait or landscape orientation. Engraved with Best Grandad Ever and the images as shown, just let us know the text you would like adding and we will get creating this special gift for you!